CRI’s strong move toward ecumenism has led them to refuse to recognize Roman Catholicism for what it is — a cult at best and a false religion at worst. Hanegraaff, et al., continue to insist that Catholicism is a Christian religion with merely some teachings that they cannot agree with. In the process, CRI denigrates those who insist on not pandering to the Vatican’s ecumenical designs. CRI positions itself as the last word in apologetics and knowledge of theological issues. Their rallying cry is for adherence to orthodoxy rather than Biblicism; indeed, they would consider Roman Catholicism an orthodox faith. But orthodoxy is not Biblicism. Orthodoxy is largely based on religious tradition, and is, therefore, often found wanting. “Orthodoxy” is predicated upon the canons of whatever religious authority happens to interpret Scripture; it is not based upon Scripture directly. CRI wants us to believe that Roman Catholicism is a pussycat we can snuggle up to and join paws with for the Reconstructionist agenda of restructuring society. (Source: “Hanegraaff Urges Cooperation With Roman Catholicism,” Media Spotlight, Vol. 16 – No. 2 [9/95], pp. 5-6). So am I surprised by the recent events and Hanegraaff’s ‘official’ departure from the faith? No, he left long ago. This article is addressing the so-called “Christian” aspect of the story. The verse above, unfortunately, describes far too many professing Christians (including pastors) who open themselves up to unbiblical doctrine by means of an emotionally driven storyline. A book/movie like The Shack by William P. Young will succeed in increasing ungodliness because the truth of God the Father, the Trinity, and the Christian life in general is nowhere to be found. What is claimed to be “Christian” is nothing short of blasphemous. The success of this movie will also be due in part to the use of well-known, well-liked actors—a factor that contributes to the viewers’ desire to watch. Whether knowingly, or unknowingly, just these two things in conjunction with a heart-wrenching storyline goes a long way in people’s minds to accept what is being presented as truth. Those who know little or nothing about the true nature of God, and are trying to decide what they believe, are at a fork in the road. If they take any of the so-called “Christian” aspects of this story to heart, they will undoubtedly follow the wrong road. A large crowd going in the same direction does not mean they are going the right way. If the endorsements of the book are an indication of what I touched on above, then the movie will prove Eph. 4:14 (God’s word) all the more true. I say this because people tend to take to heart what they see even more than what they read. If those who read the book, and even some who simply heard a synopsis of the story were so moved by it, then it stands to reason because of the visual connection, a greater volume of people will accept the deception with open arms. The author is being lauded as an authority on the person(s) of God. His Gnostic beliefs are far removed from Biblical teaching. This book/movie not only profanes God the Father and His deity, but blasphemes with almost every word. Aside from attempting political correctness by the mention of more than one ethnic descriptions of the Trinity, the author is seemingly trying to appease everyone ecumenically as well. Young not only used his imagination writing this book/movie, but borrowed from other cultures and religions which is exactly why this book/movie should not be taken seriously. While reading the book, I got the impression that Mr. Young, through the various uses of other religions and occult practices, doesn’t know what he believes; maybe that explains why he pushes love and relationships so hard, not that there is anything wrong with either; if in accordance to God’s principals. Mr. Young’s god is clearly from his own imagination and contrary to a quote you’ll see later, our imagination does not “…make us so like them” (i.e. the Biblical Trinity). The Shack is a story centering on a man named Mack, who four years earlier, lost his youngest child Missy to murder. One day Mack checks the mail and pulls out a note written by God—signed Papa—telling him to come back to the shack where Missy’s bloody dress was found. Once there, Mack eventually falls asleep, weary with grief and shivering from the winter cold. Next thing he knows he’s meeting Papa, Jesus and Sarayu. They take turns helping him through his emotional roller-coaster ride. Mack is then given the choice to stay with them and his beloved Missy, or return to his life with his wife and remaining two children. Mack chooses to go back and is awakened to find himself where he originally laid on the floor (by the blood stain that was his daughter’s). Mack gets in an accident on the way home and is nearly killed. Ironically, Mack’s wife Nan, the spiritually strong one in the family, is initially skeptical of Mack’s experience at the shack, but their love and relationship get them through and they live happily ever after. Because there are numerous things in contradiction to God’s word, this will be an attempt to focus on the most obvious errors. Young introduces his version of the Trinity with a variety of ethnic descriptions as well as two of the three being female pg 82-84, “…a large African-American woman…”(Papa God the Father), “…a small distinctively Asian woman…virtually transparent and hard to see…”, (Sarayu Holy Spirit), a man “…appeared Middle Eastern and dressed like a laborer complete with tool belt and gloves…(Jesus as a carpenter). Nowhere in the Bible is God or any part of the Trinity described as female. Young, assigned them names stemming from Eastern religion and Greek mythology; Papa and Elousia (God), Jesus’ name is the same but certain aspects of his character are not scriptural, Sarayu (Holy Spirit), Sophia (a personification of God’s wisdom). Pg 95 Papa bears the same scars of the cross that Jesus does. “…Mack noticed the scars in her wrists, like those he now assumed Jesus also had on his.” Jesus, not God the Father, died on the cross—the reason for the scars. God the Father is omnipresent (ever-present). He forsook his sinless Son because he cannot be in the presence of sin. It was our sins which Jesus bore on the cross for our sake—to save us from eternal damnation. There is no reason, and more importantly, no scriptural support for God the Father to bear the same scars as his Son. In this paragraph Young denies the finished work of the cross! God the Father allowed this to happen for a divine purpose and Jesus knew it. God the Father turned away that the scriptures be fulfilled. Holiness does not look upon unholiness. Jesus had to die in the manner He did for our sins to be crucified with Him. So in that, we who believe and accept the gift of salvation may also live in eternity with Him. Rejecting Christ’s finished work on the cross is the worst sort of blasphemy. Young completely distorted part of the foundational message of the Gospel of Christ and created another god! This “power” of imagination is not that of a simple child’s game, but more like today’s New Age practices: Transcendental meditation, spirit guides, certain forms of yoga, etc., all of which come from Eastern religions. Much like the ones Young grew up around. Pg 148 Mack asks Jesus the question, “But you came in the form of a man. Doesn’t that say something?” “Yes, but not what many have assumed. I came as a man to complete a wonderful picture in how we made you. From the first day we hid the woman within the man, so that at the right time we could remove her from within him. 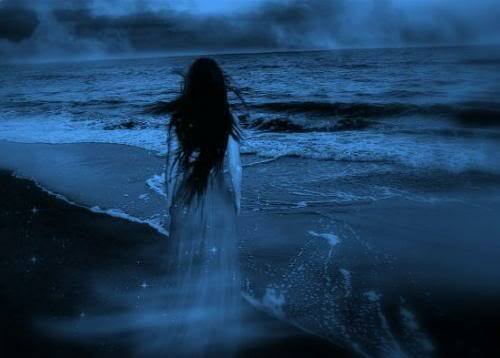 We didn’t create man to live alone; she was purposed from the beginning. By taking her out of him, he birthed her in a sense. We created a circle of relationship, like our own, but for humans. She, out of him, and now all the males, including me, birthed through her; and all originating, or birthed, from God. This is a perfect example of the latter half of Ephesians 4:14 “…by the sleight of men, and cunning craftiness, whereby they lie in wait to deceive.” This passage is just begging for someone to say “it’s just semantics” to those who would attempt to correct the error. I’ll say it now, this is my attempt! Eve was not hidden within Adam. There is no circle of relationship. God the Father created Adam from the dust of the earth and breathed life into him. HE then took a rib from Adam and created Eve, and they were fruitful and multiplied. End of story! Webster’s dictionary defines sensuality as, “The quality or state of being sensual; devotedness to the gratification of the bodily appetites; free indulgence in carnal or sensual pleasures; luxuriousness; voluptuousness; lewdness.” Why is it necessary to sensualize wisdom? Young’s fixation on the woman smacks more of a pagan love goddess! Though it is not specifically stated, the picture is thus; Papa is a large African-American woman whose wisdom is personified by a sensually beautiful, olive-skinned, Hispanic woman; who is also the mystery that surrounds Sarayu—the female equivalent of the Holy Spirit. If “wisdom” is only a personification and a mystery then why assign a name, physical attributes, and a completely different ethnicity? Mack asks if Sophia (a.k.a. wisdom) is God too, and is given the answer “no.” But later, he is told she is real, and we just read that she has a physical description. Either Young’s Papa has a multiple personality disorder, or there is major contradiction going on here. But, the red flag that screams at me is the underlying theme—feminism is the authority. A person can rarely turn on the television anymore without seeing this theme in just about every storyline regardless if it’s real-life or fiction. Even several kids shows and movies have the girl character as the lead, and, or smarter with the sarcastic lines that demean the male character. Biblically speaking, wisdom is metaphorically referred to as “she”—minus the physical description and name. As stated at the beginning of this article; no female, or characteristics of a female have ever had anything to do with the Biblical Trinity. The Holy Spirit of the Bible is never described as having a blinding light emanating from “him”. The rest of the chapter tells of Mack’s clarity of vision. He is now able to see as the three god figures see, and everything is illuminated with halos of light: Nature, animals, angels, sentinels, and of course people have an aura about them—more New Age philosophy that flows right into Necromancy. This is the second time in this book that Mack will have contact with a dead loved one. The first, being with Missy when he was with Sophia and he saw his daughter through a waterfall. Missy knew her father was there and motioned as if she was hugging him. Now, in his mind with Sarayu and Papa, Mack sees a commotion of agitated lights which are coming from his dead father. This time Mack actually embraces his father; they forgive each other for various things while Mack’s father was still alive, and all is well. Link to – What is ‘Bridal Mysticism’? And why is it so prevalent? Another interesting read exposing some of the reasons to avoid teachers such as Beth Moore among others. 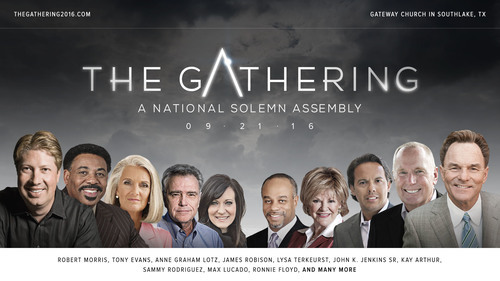 Beware of “The Gathering” – Seriously are they saying America is the New Israel!? We have warned about a number of the teachers in this latest article by Pulpit & Pen and here is some proof of the heretical teachings whether we are talking about Kay Arthur, Max Lucado, Tony Evans, Greg Laurie and many more. If you here anyone boasting of The Gathering 2016 as a solidly Christian meeting tell them you beg to differ and point them to this article linked above. from → Messages, NAR, Snares! Pastor Chris Rosebrough of Fighting for the Faith has a warning for Steven Furtick followers in addition to mine at Truth with Snares – that is if you are serious about your Christian faith! If you are looking for the Jesus Christ of the Bible I do not recommend going to see Furtick at his Elevation video entertainment center but rather find a Church where Jesus Christ is preached and the Bible is not twisted and mangled into some sort of social gospel message. For more read the linked article here or those I list below. February 5, 2012 Poke Thy Enemy? Steven Furtick takes another swipe at Critics? Guess He Needs to Read What He’s Promoting! from → New Age, Snares!